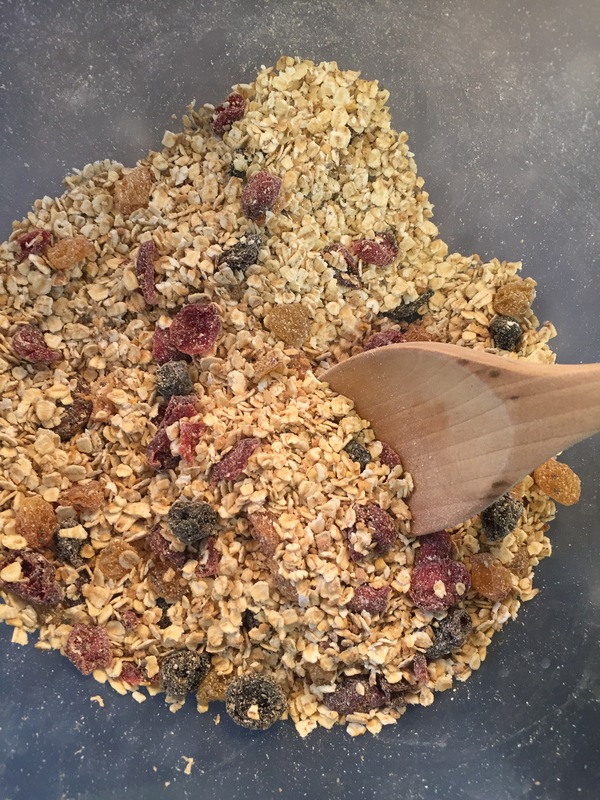 Tackling that quick breakfast snack, I spoke about in my last blog Cinnamon muffins, I decided to try and test a breakfast bar. Having no clue what I was doing, I went head first in trying to make these by using ingredients in the back of my cupboard. 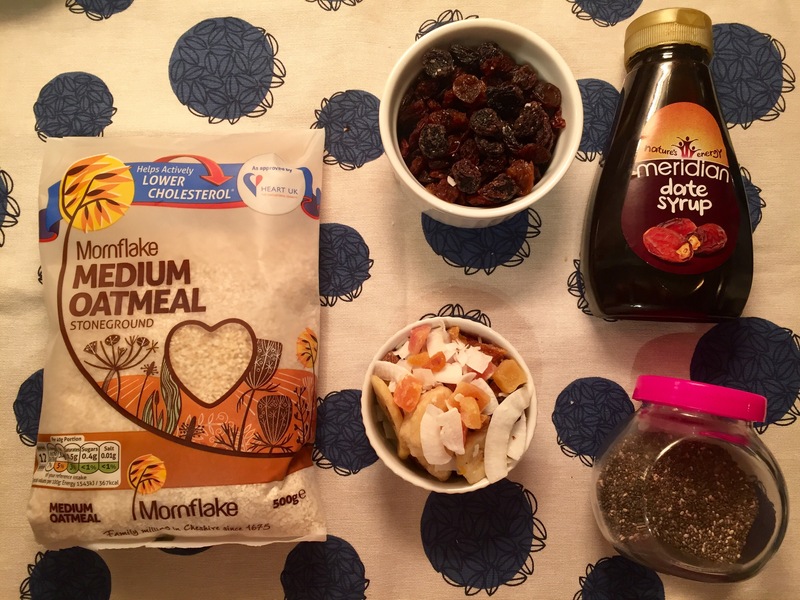 Simple ingredients that could be mixed together to make a crunch bar. So I just added all the ingredients together. As I was putting ingredients away, I stumbled upon bee pollen so I did add this also! Kinda of a throw it all in girl! I admit, I didn’t use measurements at all! So I just went with it. Oops sorry! Placing in a well greased tin, I baked this for 30mins. Due to the darkness of the date syrup it is difficult to see if it’s baked. After allowing them to cool, I sliced them. So the drum roll….they failed! It would of come in useful for crunchy bits in yogurt. But being Lacoste intolerant not something I would use. So back to the drawing board…. This time with chef we tried again. Most of the ingredients were the same, apart from swapping one and adding an additional ingredient. Peanut Butter, I appreciate this is recipe is difficult for nut intolerant foodies but simple ingredients can be swapped. More preparation went into this next trial, instead of my chuck it all in and hope for the best. Warming the oven, we oven roasted the oats. 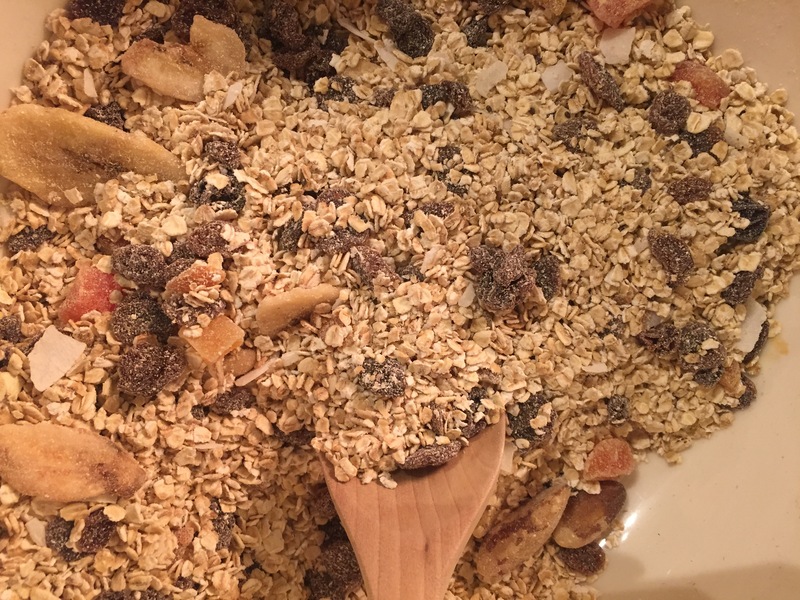 Once roasted we added the dried fruits and chai seeds again to the oats. 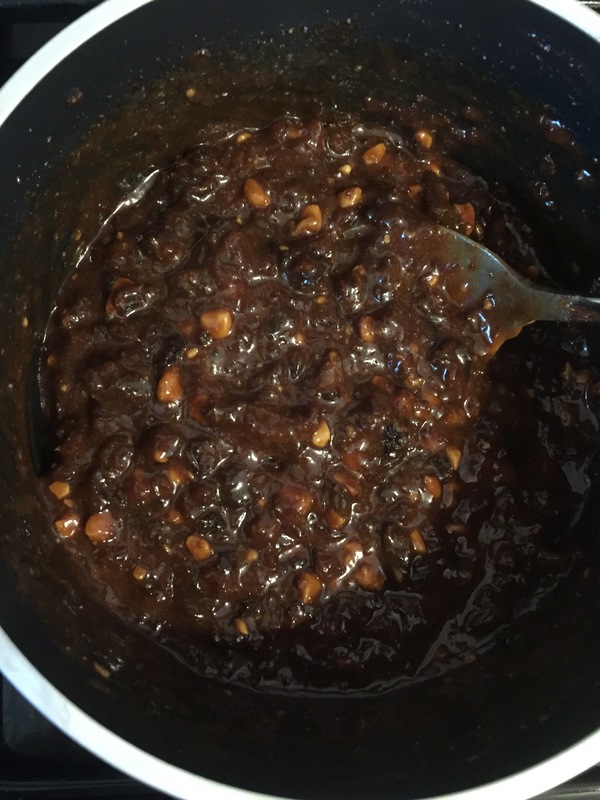 This time we blitzed some raisins and the date syrup together. Then in a small pan we heated the mixture with honey and peanut butter. Around a table spoon of each. 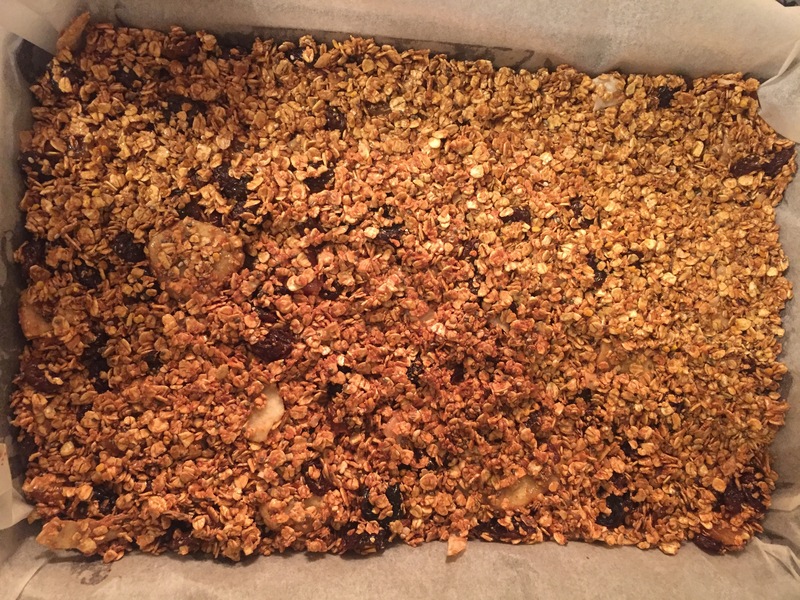 It doesn’t look that appetising but it was the mixture we needed to hold our bars together. 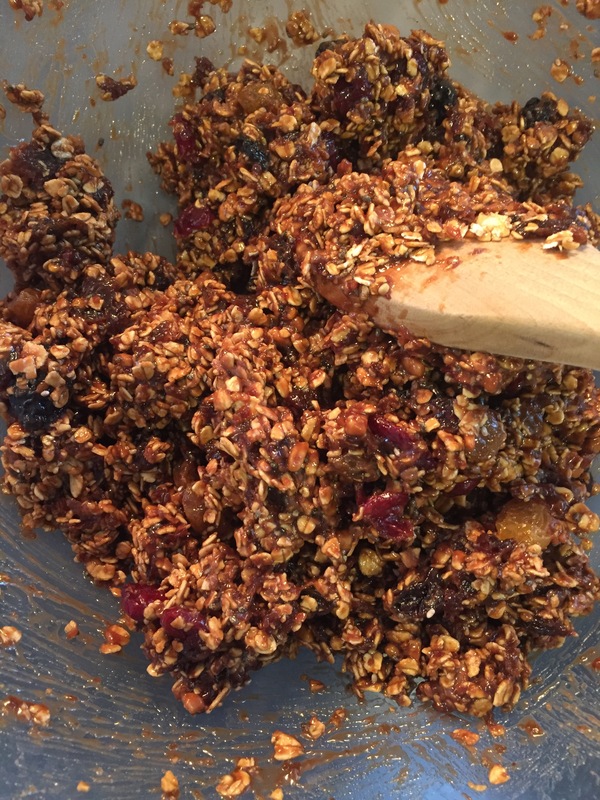 Add the heated mixture with the dry mixture and make sure it is fully combined. In a fully lined and greased baking tray add the mixture and roll until even. Bake for 15 mins and allow to cool. Cut into squares. Our first batch was thinner than planned, we rolled them quite a lot. 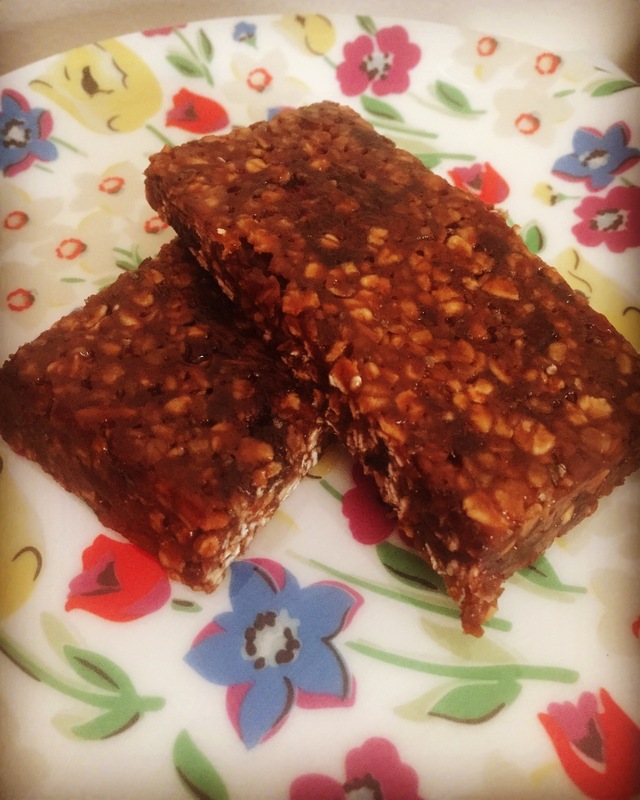 These are super yummy and a perfect mid morning snack as well as a breakfast bar.